I've been working on seeing the movies from the AFI 100 list for a couple of months. Right now I'm watching The Bridge on the River Kwai. (I can't seem to find enough time to watch it all at once!) It's been a lot of fun. There are so many of those books that I've heard of yet haven't read. I need to get busy! I love lists too! It seems like I get more done when I use a list - probably wishful thinking ;)! 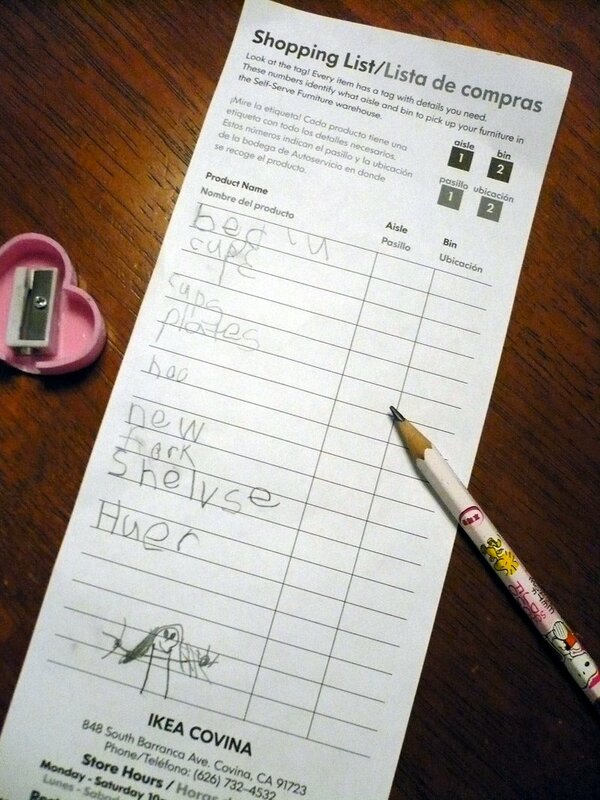 I have a little girl at home too and if I had to translate the last word, I'd guess "hanger". How adorable that she made a shopping list for Ikea--I hope all her goals were met.